Use TB279ED to reference this item. 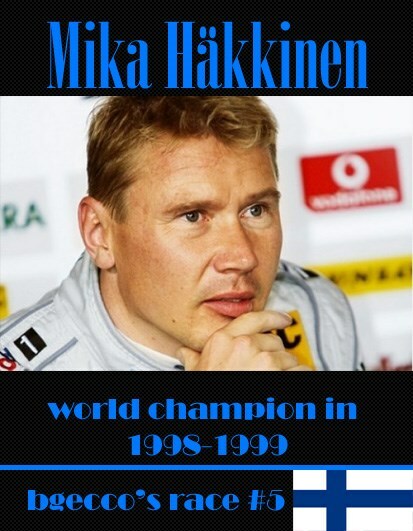 My name is Mika Häkkinen. I was Formula 1 world champion in 1998-1999. Sorry to say your TB was not in KCT Series - HIDDEN HEARTS. Perhaps it could be marked as missing? Hope it turns up again for you. Found in this cache while out on a road trip. Hope to move it along as soon as we are on the road again and come across a cache that is worthy of it being placed into. Happy Trails. I discovered this in a different cache than where it was showing, so I will move it to the correct location. Good luck with your travels!